If you live in apartments in Fredericksburg, VA and are looking for some perfect ways to enjoy the fall weather, below is some information on area festivals. October 21st 1 – 5pm. Ages: 2-10 years. $14 per child (adults free). 1 pumpkin per child while supplies last, barrel train – obstacle course – haunted house – hayride – concessions – face painting – rock wall – moon bounce – pony rides – bake sale. Hazelwild Farm, 5325 Harrison Road, Fredericksburg, VA 22407. Festival Weekends! 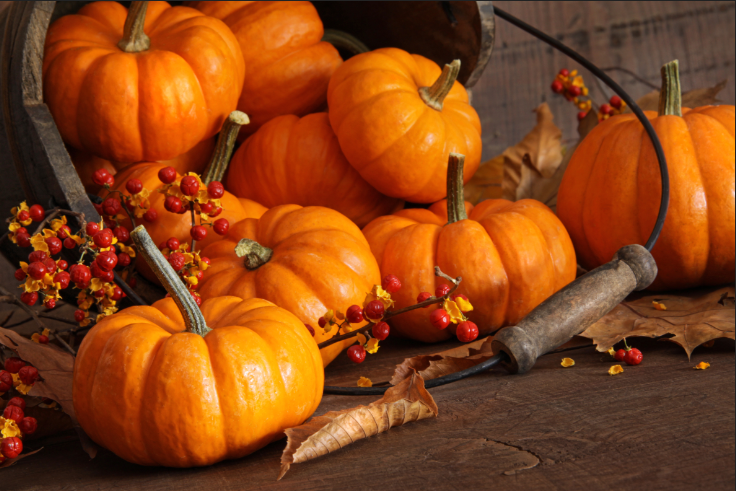 Every weekend in October beginning Saturday, Sept. 30th through Sunday, October 29th, and Columbus Day from 9:00 am to 6:00 pm, we will be having our Fall Harvest Festival going on in the back of the farm. Fun in the corn maze! Stroll along the Sunflower walk! Pumpkin decorating! Washable and permanent paints and markers, stickers and more! And… you can visit with The Great Pumpkin! Bring your cameras for this photo opp! “The Great Pumpkin” will be in the pumpkin patch waiting to greet you from 10:00 am to 1:00 pm and again from 2:00 pm to 5:00 pm!! Play and picnic in the “Family Playgrounds” with the hay barn, corn pit, swings, sand piles, slides, farm animals and more! Visit the Braehead Farm Kitchen for Concessions such as Kettle Korn! Dairy fresh ice cream cones including Pumpkin ice cream! Delicious pie and ice cream! Whoopie pies! Cotton candy, pretzels, popcorn and more! 2017 Fall Festival opens Sunday, Sept. 24 through Oct. 31. The farm will be open daily, 9 a.m. to 5 p.m. on weekdays, and 9 a.m. to 6 p.m. on weekends and Columbus Day. Weekdays (excluding Columbus Day): $5 per person 2 years old and older. Admission includes all areas of the farm. New for 2017: They’ve been working all summer on perfecting the Snead’s Mountain Slides. These slides are embedded in the ground on the hill leading down to the creek on the property. They are also working on some fun and unique experiences for kids of all ages, like a “Unicorn Trail” designed by local artist Ed King, and improvements to their Vietnam-era helicopter. They want this to be a fall experience like no other! Also with your admission, you can explore the entire farm, feed the chickens, see llamas, horses and the resident calf, swing in the hay barn, navigate the “Out of My Gourd” natural maze and 4 separate sunflower mazes, play by the stream, see barnyard animals on the “sheep walk,” take pictures in the sunflower fields and otherwise enjoy yourself on their family farm. The Well at Snead’s Farm will be serving field-to-fork food at the Fall Festival. They’ll offer picnic boxes to eat out on the farm, sit-down service at the farmhouse and a “fast food” counter for popular items like $1 smoked sweet corn, hot dogs, etc. Bring along your best ghoul, goblin or other worldly creatures and enjoy the trick or treats we will have in store for you! Check our website for more information. Special Classes from makeup to paranormal investigation. Paranormal Investigation that night with a paranormal team. Special All Hallows Eve Investigation on Halloween. Check our website for more information. FARMFEST starts October 14, 2017 and continues every weekend throughout October. Hours: Saturday and Sunday 10am-5 pm. Last ride to the pumpkin patch leaves at 4:30pm. Enjoy a relaxing view of the farm nestled beside the Rappahannock River from our veranda or at Eagle’s Nest Beer and Wine Garden!! Oct. 7 – 8: 10 am – 4 pm. Enjoy the sights, sounds, smells and taste of Culpeper County on farms in the beautiful Blue Ridge foothills. This free event provides a wonderful educational experience and includes a variety of hands on activities and demonstrations. There will be 18 farms and related businesses on this year's tour. The tour, a self-guided driving experience, can be started at the Welcome Center located at Culpeper Agricultural Enterprises on Route 29. Oct. 6 – 8, 6 – 9 pm. Enjoy live blues and spectacular views of the Potomac River while sampling wine from 17 Virginia wineries! George Washington's Mt. Vernon, 3200 Mt. Vernon Memorial Hwy, Mount Vernon, VA 22121. Oct. 21, 9am – 4pm. Live music, children’s activities include face painting, pumpkin painting, a petting zoo, and clown entertainment. Other activities include the car show and antique tractor show, antique alley, as well as food and craft vendors. Oct 14, 11 am – 4 pm. Come help us celebrate our 37th harvest! Take a tour of Ingleside's vineyards and winery, sit in the courtyard and relax (or dance) while listening to live music and sipping wine. Hayrides and more for the kids! Includes tour, tasting, Ingleside wine glass, live music. Food available for sale or bring a picnic. 5872 Leedstown Rd., Oak Grove, VA 22443. Oct. 21 (10 am – 6 pm) & 22 (11 am – 4 pm). At this home show and hand-made only arts & crafts festival, you will find premier creations from top-notch artisans that have traveled from all over the country to sell their wares. Also, seminars and DIY Workshops. Where: F'burg Expo Center. Oct. 21 – 22, 9am – 5pm. The entire family enjoys autumn activities including wagon rides, wheat treading in the 16-sided barn, 18th-century dancing demos, a straw bale maze, farrier (blacksmithing) demonstrations, apple-roasting, corn husk dolls demonstrations and early-American games and music. Potomac River sightseeing cruises are half-price this weekend only. 3200 Mount Vernon Memorial Hwy, Alexandria.